"A gap in the agreed order of the city"
After covering design ideas for Chicago's derelict Bloomingdale Line, EcoUrb presents the second installment of our Rail[ways] series where we will be looking at Le Viaduc des Arts in Central Paris, a project widely regarded as an inspiration for the adaptation of many railway lines worldwide, most notably, the recently completed Highline in New York. 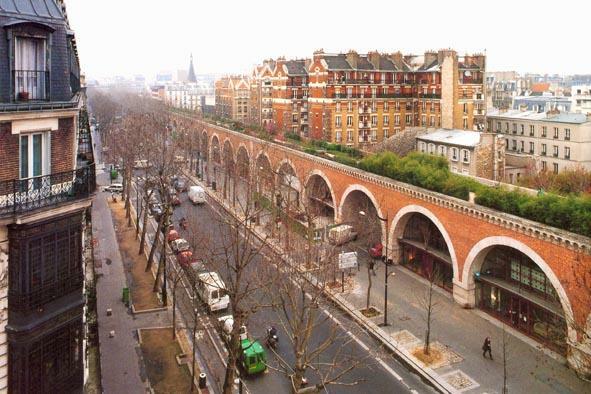 - The first Viaduc dates back to 1858 and used to support the Paris-Bastille / Varenne railroad. 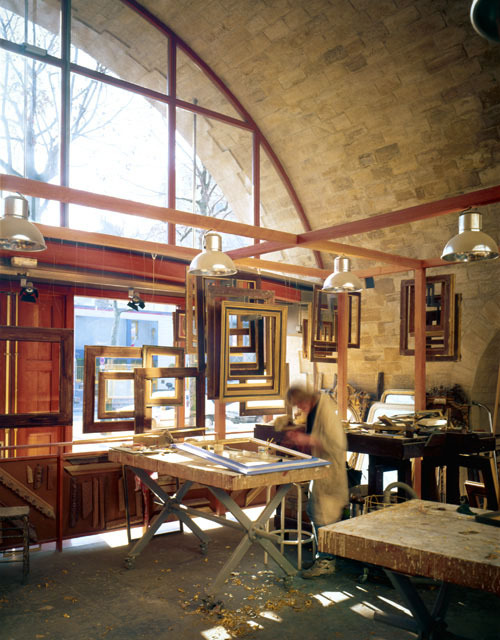 - An attribution commission regularly meets to study applications for rentals of the vaults. In 1853, a concession is given to the Railway Company between Paris and Strasbourg to create and operate the line "Bastille / Bois de Vincennes' which runs through the 12th arrondissement of Paris from west to east. 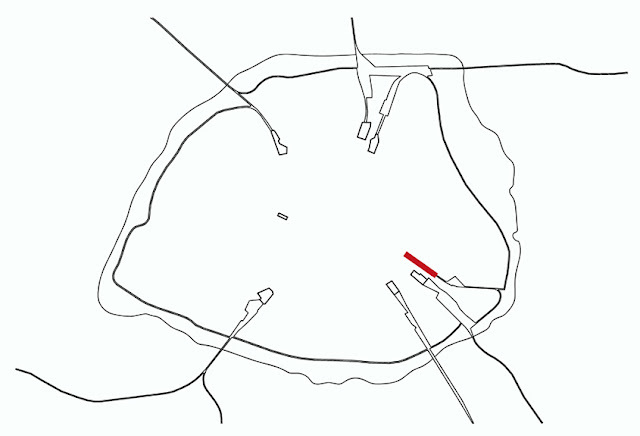 The railway of the Bastille, inaugurated in 1859 was decommissioned in 1969. 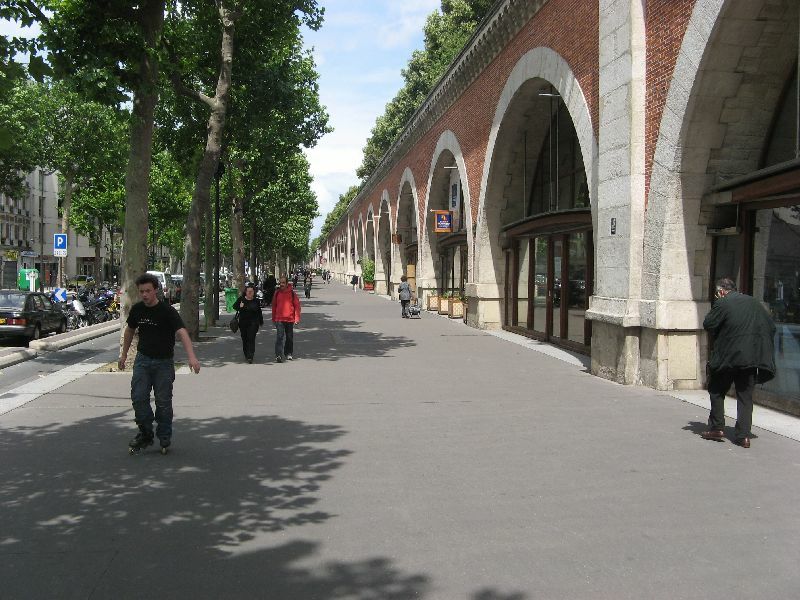 The elevation of the land required the construction of a viaduct of 67 arches over a length of more than a mile, between the Bastille and rue Rambouillet. Lots of edge activity draws many people along the Viaducts at street level. 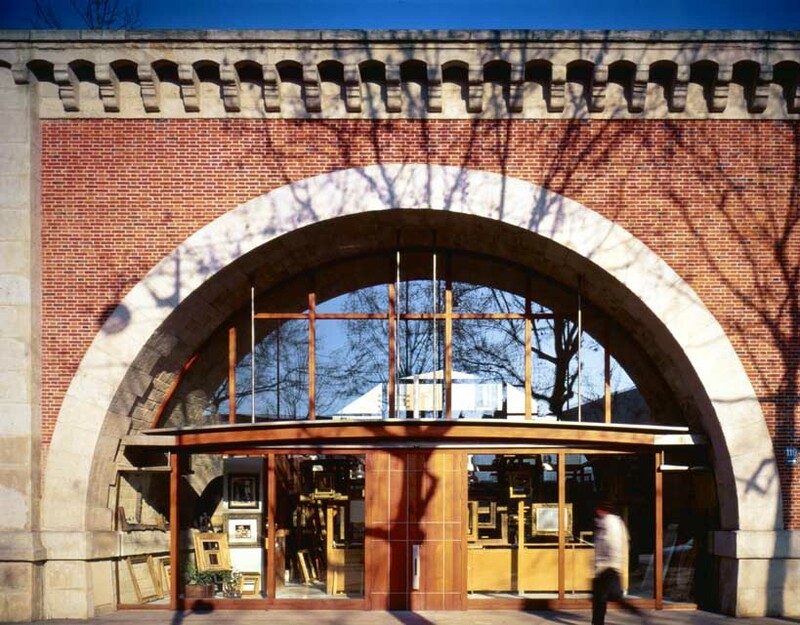 elevation of Le Viaduc des Arts. google earth view of the green promenade atop of the viaducts. 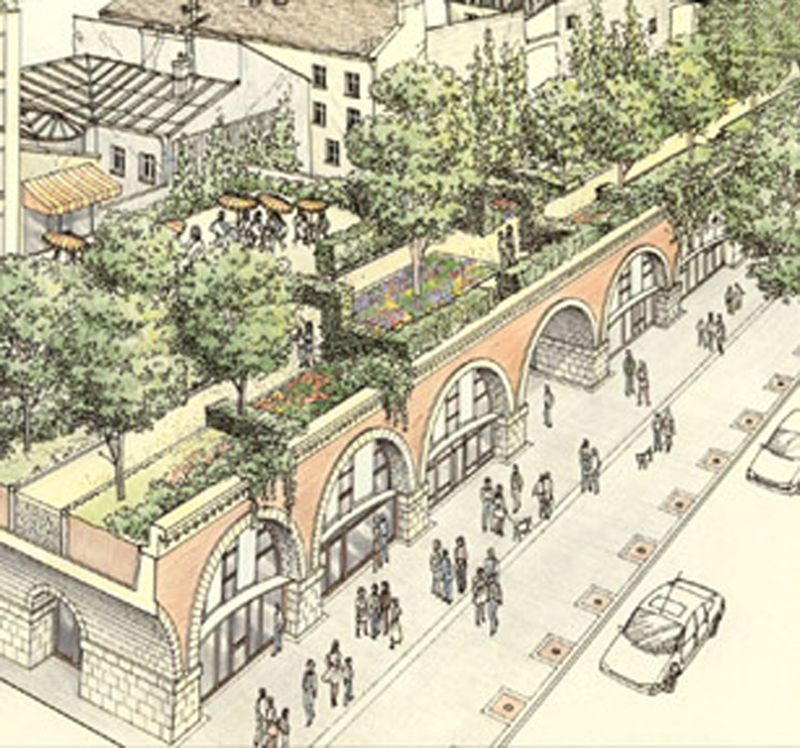 Initialized by the local community, the viaduct was initially restored to create a green promenade on top of the viaducts on the site of the abandoned railroad. Eventually, the viaducts beneath were restored and converted to local shops, craft workshops and exhibition spaces under in the vaults. The structure of the facades are set back from the edge of the vaults to emphasize the curved through creating a strong shadow. 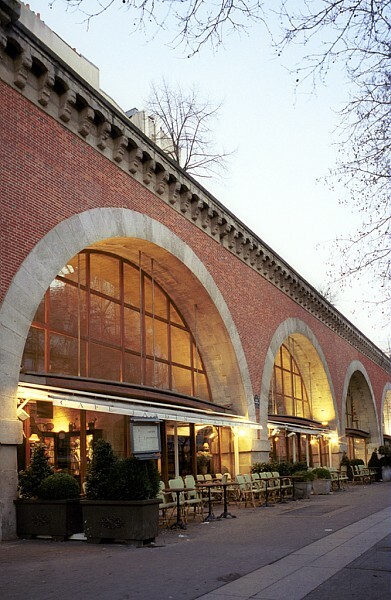 The glass and timber facades that fit into the arches are simple and elegant additions that compliment the heavy stone and brick structure of the viaducts. The lightweight facade brings lots of natural light deep into the shops while the canopies, suspended using delicate steel tension cables, offer transitional shelter to the visitors to the shops. architects drawing of the new public space. The new public space draws in people day and night. 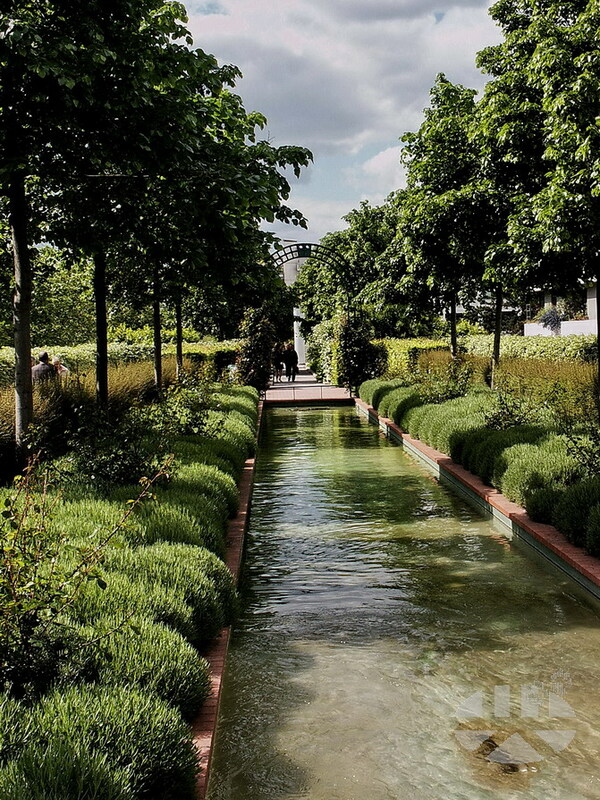 The green promenade along the old railway line is an urban oasis in the centre of the city. The storefront has been elegantly designed to compliment the stone arch. The atmospheric spaces under the vaults lends itself well to the craft industry. 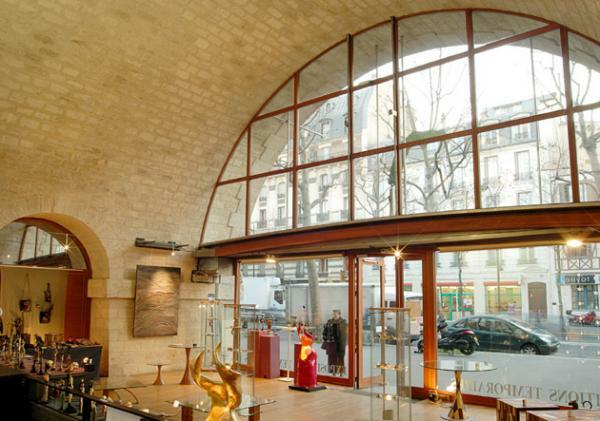 the barrel vaults lend themselves to the creation of fantastic retail spaces. Do you have any ideas for case studies to report as part of this study? Let us know in your comments!